I picked this product up on a whim after seeing it as one of EmilyNoel83’s top foundations for 2017. I’ve used Revlon Colourstay Normal-Combination Foundation for YEARS whenever I want my make-up to last all day or for special occasions. So it was quite adventurous for me to actually try out something new for all day wear. I am so, so glad I tried out the Loreal foundation as it is AMAZING!!! The packaging, texture, blendability, light-weight nature and longevity of this product all mean that it has actually become my new go-to favourite product for all day flawless looking skin. The foundation feels soooo light-weight on the skin (like I’m not wearing anything) yet it makes my skin look incredibly flawless and without any imperfections. I can actually skip concealer with this foundation as it covers minor blemishes and redness incredibly well. I love that aspect, as being able to cut out a step makes my morning routine on a busy day so much quicker. I haven’t tried the Loreal foundation above without a setting powder yet to see if it lasts without anything on top so that would be interesting to try out. The packaging is awesome too, as the product comes in a squeezy tube with a thin nozzle dispersing the foundation. The packaging design makes it so easy to get the right quantity of foundation out, as well as avoiding any extra mess from a pump or open bottle design. 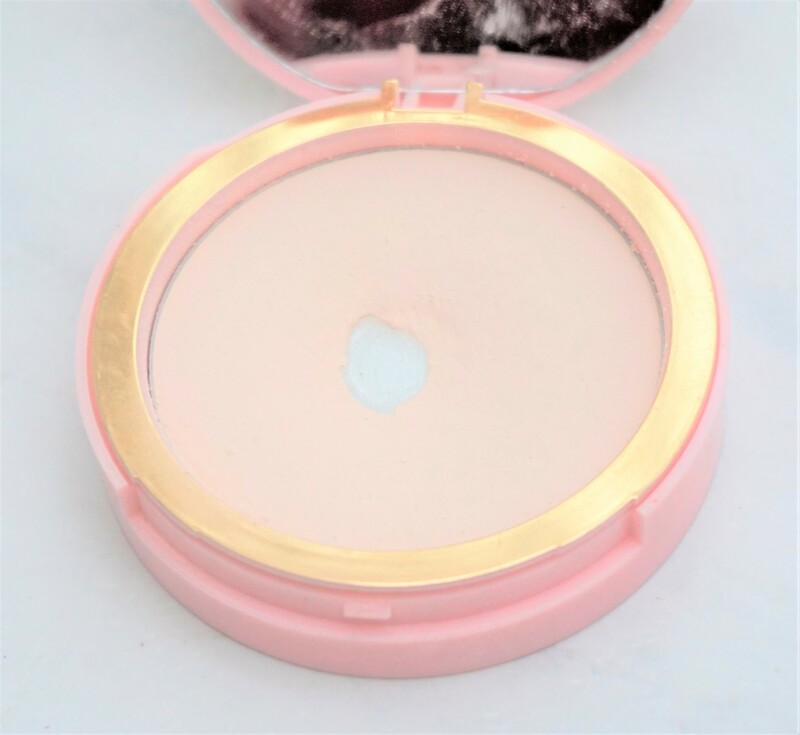 I have featured this product on my site before (you can see more photos and read more here) but I wanted to write about it here too as it was my go-to make up setting powder during that whole week. My skin is normal-oily so I tend to need a setting powder with foundations to ensure they stay in place and to prevent my face getting shiny. 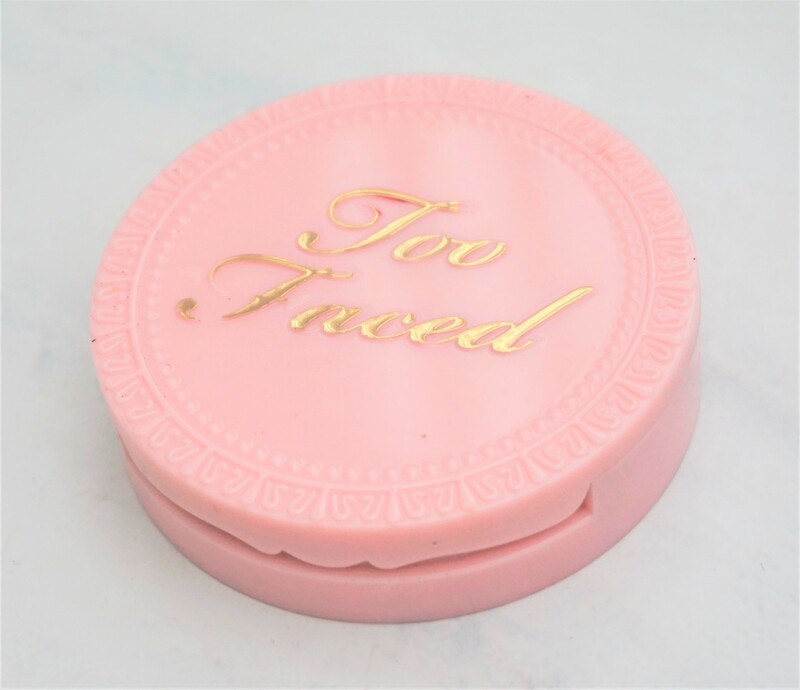 I love this particular powder, as it sets my make-up and keeps it in place all day. 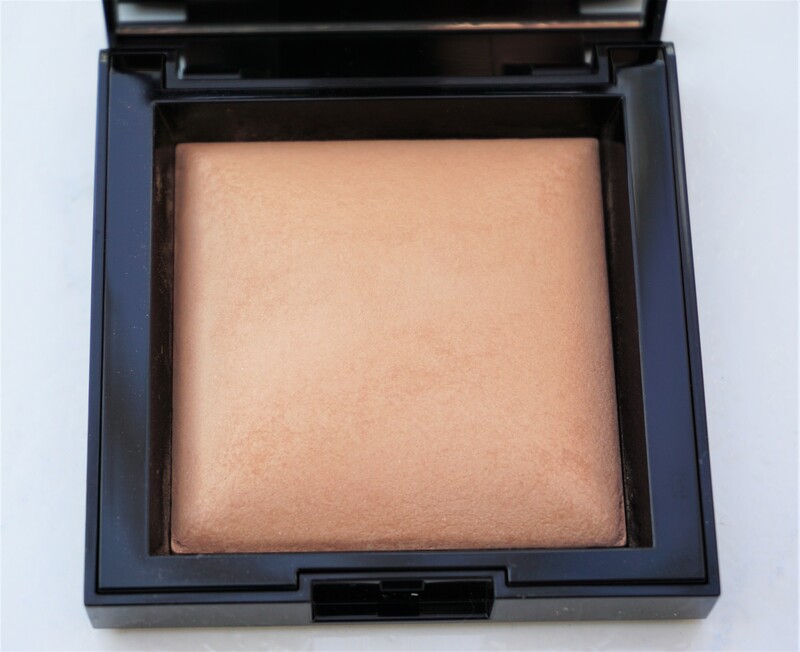 The powder gives the skin the most beautiful, soft focus finish, without looking powdery. It also keeps the overall look and finish of the foundation, whether you have used a glowy or matte foundation. When I paired it with the Loreal foundation above, I found that I didn’t really require any touch-ups across the day (and that’s with applying it around 6:45am). I think there was one day that I touched it up very slightly later in the afternoon but the shine coming through was very, very minor. The powder comes with a powder puff, so you can use that without having to carry brushes with you if you want to touch up your make-up across the day. I always use an eyeshadow primer under my eyeshadow as for me, it ensures my eye make-up stays in place all day and prevents creasing. It also helps eyeshadow apply more smoothly and come out truer to form. I have an article I wrote a long time ago which you can read here to get more information on eyeshadow primers. 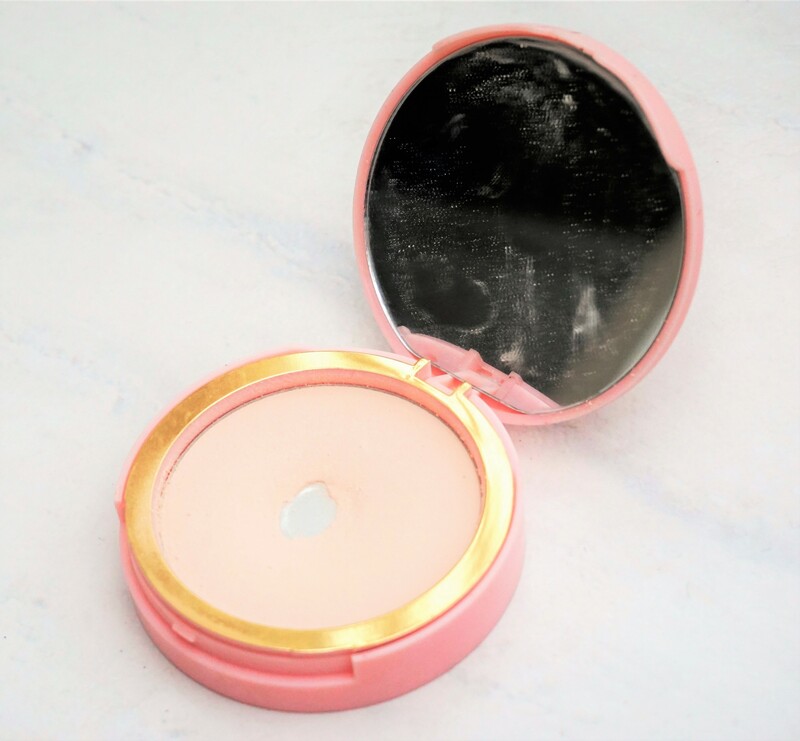 My go-to primer that week was the Too Faced Shadow Insurance Eyeshadow Primer, as it was really quick and easy to use (Note: the tube in the picture below is clean! The writing has just worn off and the tube has got a little scratched as it is so well used!). The product comes in a squeezy tube, so I can easily squeeze out a tiny amount and quickly apply it to my eye before applying eyeshadow. This particular primer is colourless when it goes on, so it’s a good option when you want something which won’t change the colour or depth of the eyeshadows you are applying on top. There are various other eyeshadow primers on the market which are also excellent as eyeshadow bases, including MAC Paint Pots, Maybelline Colour Tattoo 24 Hour Cream Eyeshadows and Urban Decay Primer Potion. You can read more about these products here. You can find a detailed post featuring this product on my site here if you want to read more, see additional photos and swatches. 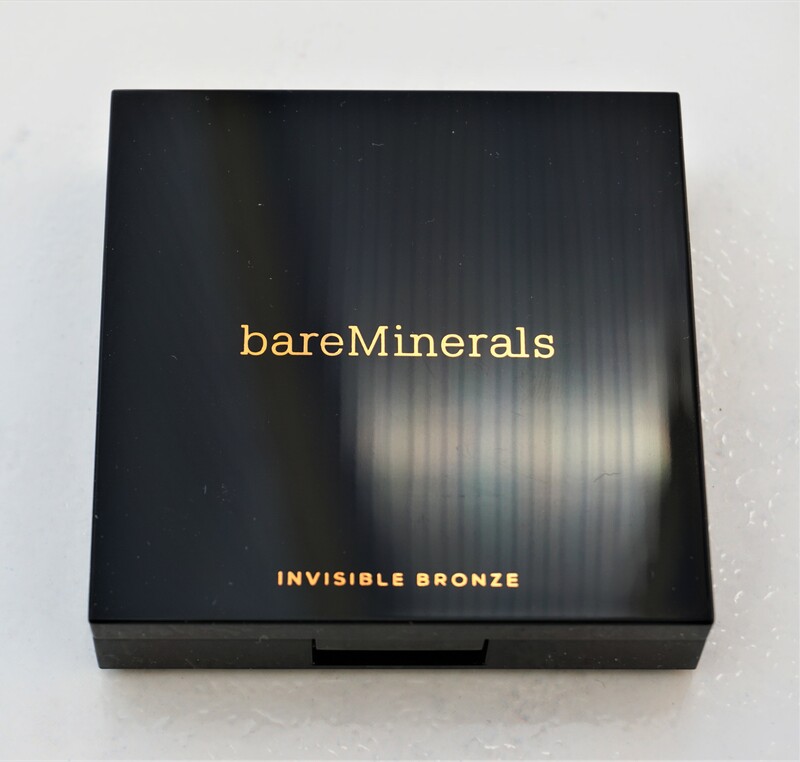 I really enjoyed wearing the Bare Minerals Invisible Bronze Powder Bronzer during my week of intensive lecturing as it was so easy to use and looked so natural (I wear shade Fair-Light). I’m not a huge bronzer wearer but I like wearing a little sometimes when I have foundation to add some extra warmth and shape to the face. I just swept a little on using a small contour brush (MAC 109) and it gave my face some beautiful, natural warmth, as well as some contour. The texture of this product is so incredible; it’s so light, soft and incredibly easy to blend. It’s really easy to build it up in places and it feels like it would be hard to over-apply it. Being able to apply it easily and knowing it wouldn’t be difficult for me to blend it at all made such a difference in me actually using it every day. I can see this being a favourite in summer time as well for when I want to add some sun-kissed warmth to my face. 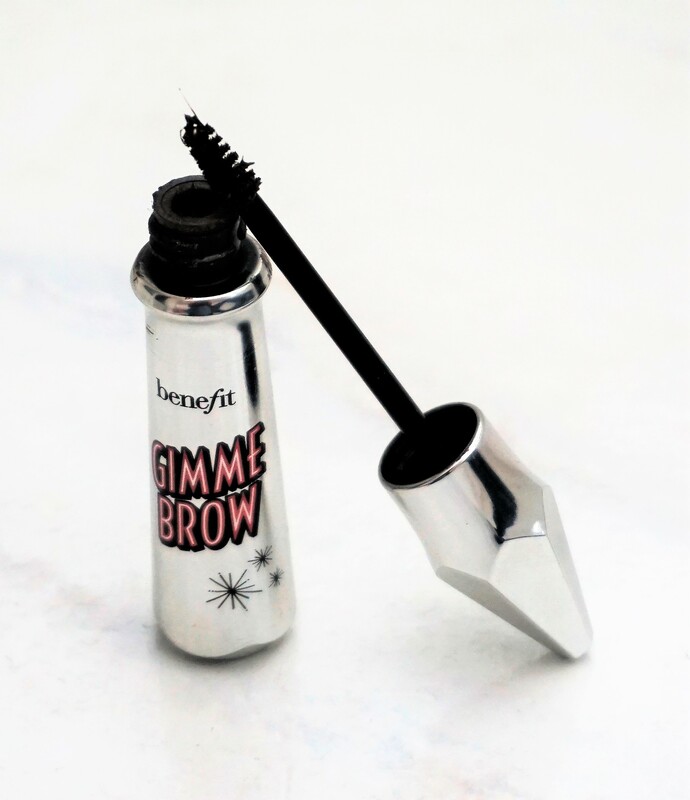 Benefit’s Gimme Brow was a go-to for me all week as it creates naturally defined brows in seconds. Gimme Brow is a volumising tinted brow gel that comes with tiny microfibres to fill in any gaps. The product comes with a little tapered mascara-like brush which allows you to quickly shape and tame your brows. You simply sweep the product through your brows and voila! Naturally shaped, filled in and defined brows that stay in place all day. Gimme Brow comes in a choice of three shades (shade 1, shade 3, shade 5). I use shade 3, which I find to be a great match for my dark brown eyebrows. If you are curious about some of the other brow products from Benefit, you can read about and see photos of some of them here. 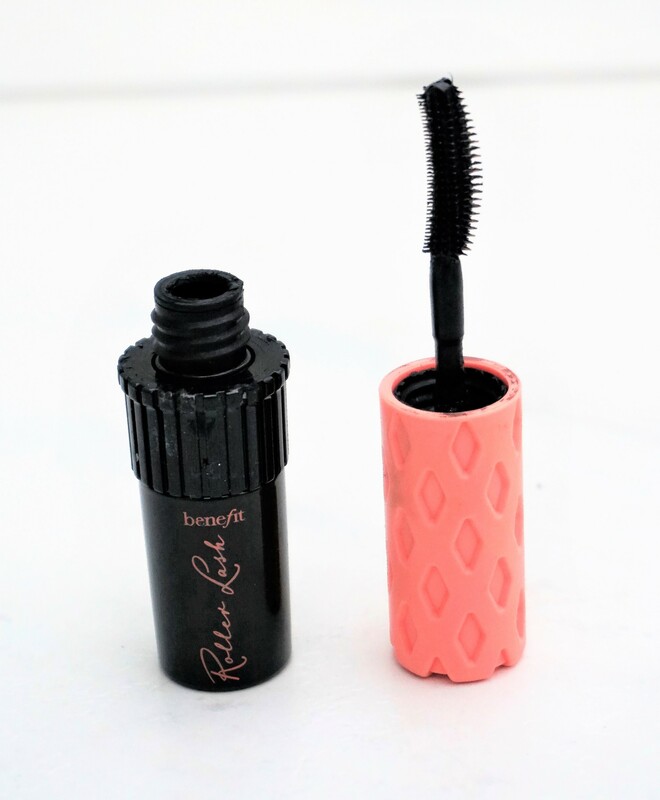 I love Benefit’s Roller Lash Mascara soooo much as it creates lifted, curled, long and voluminous lashes so quickly. The brush is fantastic at laying just the right amount of product down evenly on to the lashes, without any excess having to be wiped off first on a tissue. The brush separates and defines lashes so well, without the need for a lash comb to remove any clumps or stuck together lashes. I really love that as it means I can miss out the step of using a lash comb; very helpful when you don’t have much time to get ready in the morning. I got my ‘Roller Lash’ from Boots as part of their ‘Buy 3 for £25’ mini Benefit products deal. I don’t normally buy expensive/higher end mascaras, so this was a good way to try one out for a little cheaper. I now have a full size one which I ordered from Debenhams (they had 15% off all make-up a while ago), so I can’t wait to use it! Kiko is my favourite and now go-to brand for lipliners – particularly their line of Creamy Comfort Lip Liner pencils. These lip liners glide on the lips so easily and – best of all, they don’t leave a tell-tale lip line behind if your lipstick wears off during the day. My go-to during my week of intensive lecturing was shade 303. Shade 303 is very close to my natural lip colour and so it blends in seamlessly, whilst also giving my lips extra definition. It also helps my lipsticks stay in place well and prevents bleeding across the day. Something worth noting is that this particular shade is a fantastic dupe for the Charlotte Tilbury lip pencil in Pillow Talk. I didn’t know if I would stick to wearing lip liner on a regular basis and I wanted to see if I could find a cheaper alternative. So I went into Kiko and came across shade 303 (I had a swatch of the CT pencil on my hand as the stores were next to each other!) and thought it was worth a try. Turns out that I loved shade 303 and I haven’t felt the need to invest in the Charlotte Tilbury one. Lip balm was a go-to for me during my intensive lecturing week, due to long days lecturing, eating food and drinking water across the day. I always apply lip balm in the morning before I apply my lipcolour (I let it soak in briefly while I do other things) as it really plumps the lips up and makes lipstick apply more easily. Using it across the day when my lipstick had worn off (and then re-applying my lipstick) helped prevent my lips from getting chapped. Two of my current favourites are the new Palmer’s Cocoa Butter Flip Balm (a little pot with a lid that flips over and lets you apply the product) and the Papaya Gold Paw Paw Moisturising Balm (a squeezy clear balm). 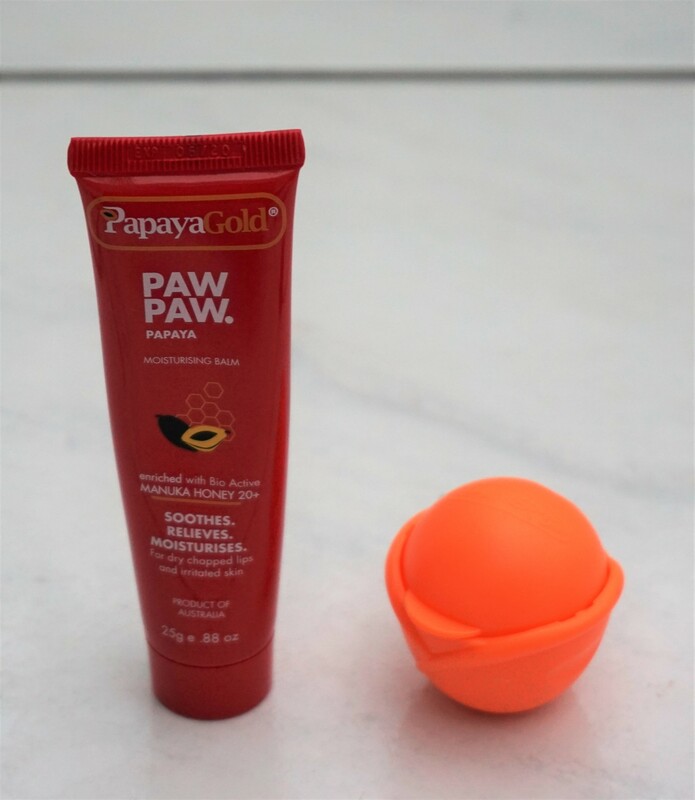 The Papaya Gold Balm is particularly good as you can use it on your lips as a balm, lightly patted over liquid or matte lipsticks to make them more supple (without changing the finish) or on irritated skin. 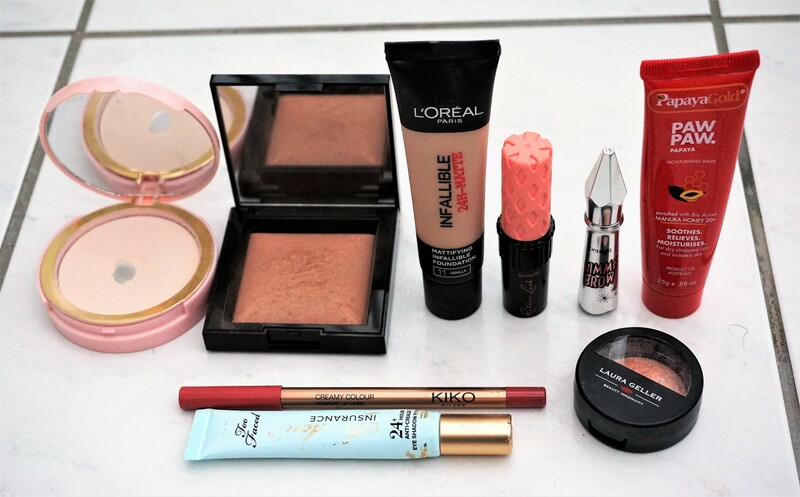 So those are some of my go-to products for long and busy days! Are there any products which you love for long days (or/and nights)? I would love to read about your suggestions in the comments section below. Wow, didn’t know Papaya also have lip balm! I will certainly try to find it here in HK! Thank you for sharing! Love it! Yes, it’s such a great product!It’s so lovely on the lips and the tube says you can use it to treat dry skin elsewhere on the body too. I love tapping a little of the balm over matte lipsticks. It makes them feel more comfortable whilst still keeping the overall effect of the lipstick :o) .